Home > ティータイム > それは関係ありません – That’s not relevant. 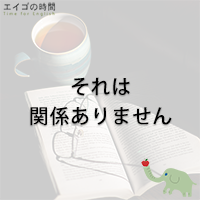 それは関係ありません – That’s not relevant. Everyone feels motivated if they are learning things that are relevant to themselves.